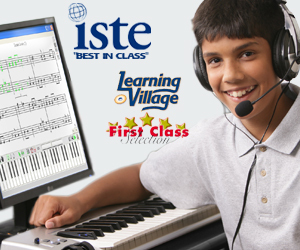 MusIQ HomeSchool’s Piano Suite (Grades 3+) was recently awarded 2009’s Best Piano Lesson Software by Top Ten Reviews. They also have a page that compares Piano Suite to 6 other piano lesson software titles. Piano Suite came out on top. Good for you! TopTen does great reviews, this should carry some weight for your product.